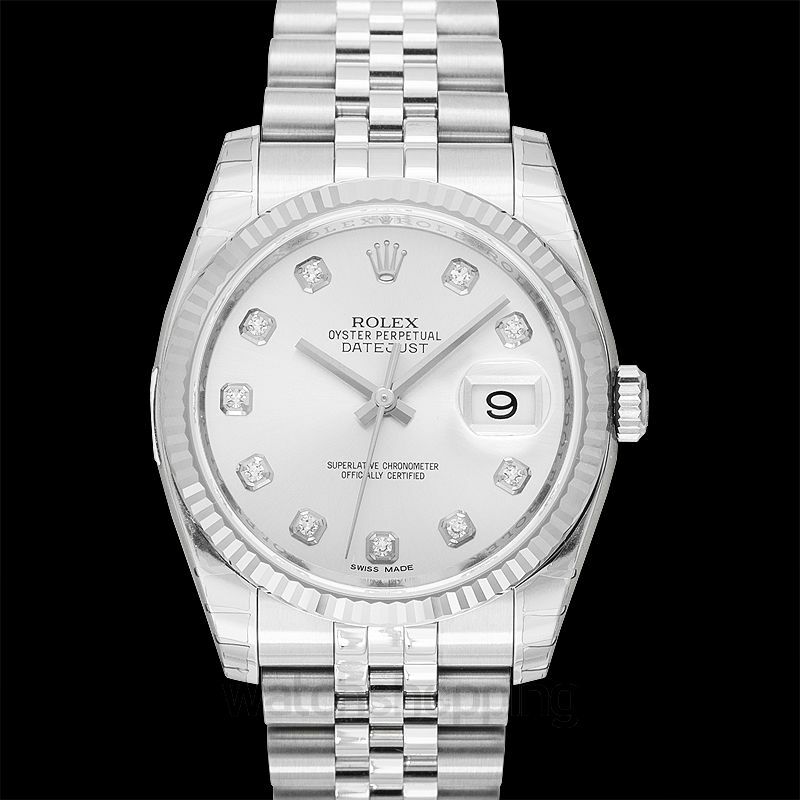 For power and elegance in one go, the Rolex Datejust in white Rolesor is the cream of the crop. 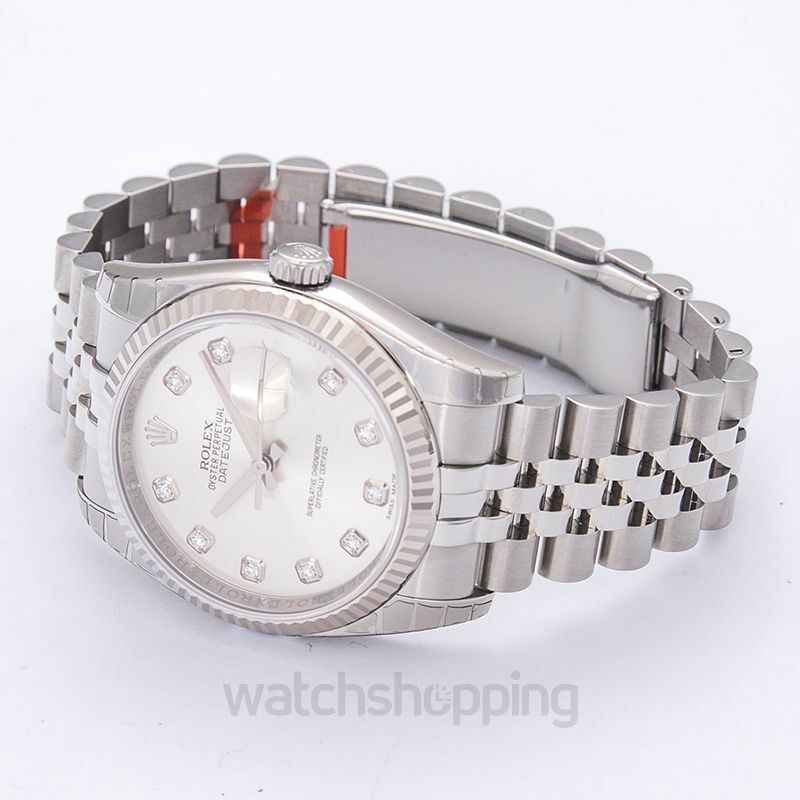 This model lies in a 36 mm case which contains a white sunburst dial with diamond hour markers. 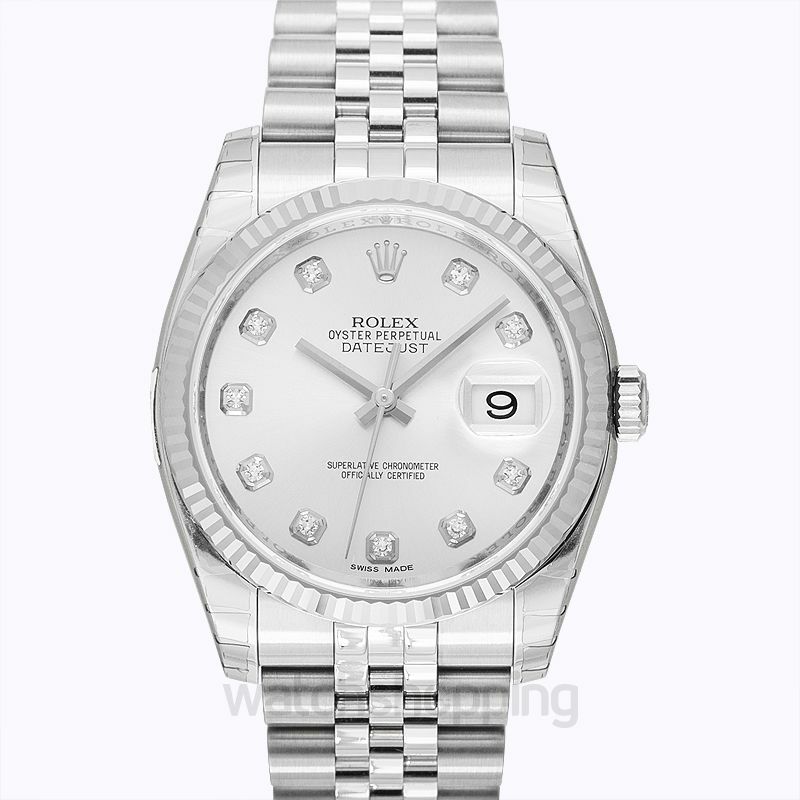 Just beneath that, the self-winding caliber 3135 breathes and powers the time and date for 48 hours. 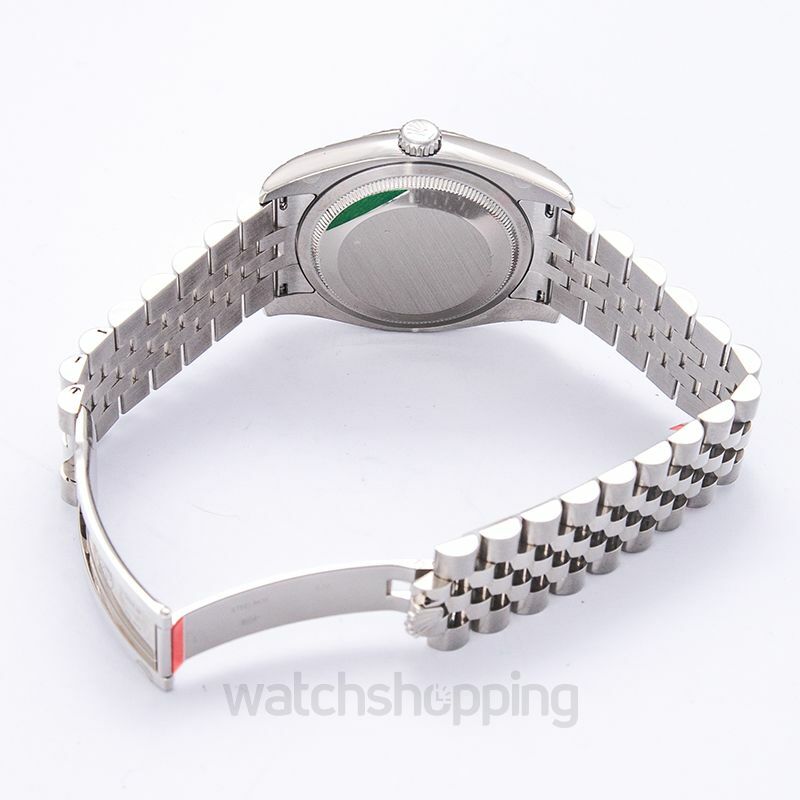 Finally, the watch itself hangs on a jubilee bracelet made out of the same white Rolesor.